A brain machine interface, also known as a mind-machine interface (MMI), direct neural interface (DNI), or brain-computer interface (BCI), is a machine that cooperates with your brain. Most brain machine interfaces measure your brain signals* and use these signals for carrying out one or several actions. This technique can be a useful tool in improving many conditions. The signals can be used for body movement, communication, seeing, hearing, and many other things. This can help improve many diseases and conditions, including spinal cord injuries, strokes, MS and cerebral pareses. First, I will discuss how this could help in movement, then I will describe some other functions of brain machine interfaces. * In most cases, these brain signals are actually electroencephalography (EEG) or electrocorticography (ECoG) signals. To avoid abbreviations that make you wonder what you’re doing here, I will just use the words brain signals. The brain and the BMI exchange information. The brain generates signals when you want to perform a certain action, for example grabbing an apple. When your body is completely functioning, you won’t need a brain machine interface. Your brain and your arm will exchange information. First there is information from the brain towards the arm about the to-be-performed action. Then, there is ‘feedback’ information back from the arm towards the brain about the performed action. For example about if the apple really feels like an apple, how warm the apple is, and in what position the arm is. In addition to this, your eyes provide you with visual information about the apple and the position of your arm. When the arm is not (completely) functioning, it may become hard or impossible to grab that apple. One way to facilitate this process, or to provide training opportunities to regain this function, is through a brain machine interface. 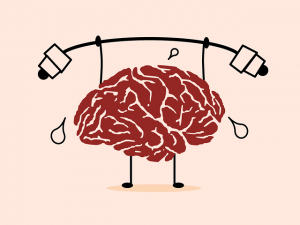 A BMI, for example a robotic arm, prosthesis, or electrical stimulation connected to your brain, can take over the role of your arm. When your brain shows the signals of wanting to grab the apple, the robotic arm can respond to this. Consequently, information is sent back to the brain. This way, the loop between the BMI and the brain is complete. Many diseases and disorders can be mitigated with this technology. It is mainly useful when body parts are (partly) paralysed or weakened. For example after/in a spinal cord injury, stroke, MS, ALS, locked-in syndrome and cerebral palsy. Brain machine interfaces are also used for walking when paralysed. The brain signals are recorded. 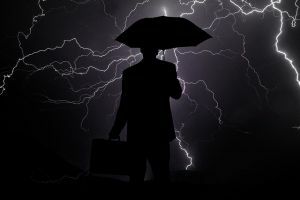 Usually, this takes a lot of ‘training’: connecting the brain signals to a certain action. This training is like learning the machine and the person to ‘understand’ each other. When this training is performed well, it is possible to use the Brain Machine Interface to perform actions that were not possible before. 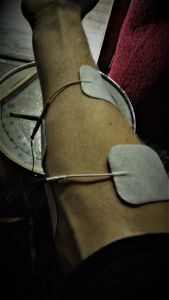 An example of this is to use the signals measured by the Brain Machine Interface as input for an electrical stimulator that is connected to electrodes on the legs. This way, the leg muscles can automatically be stimulated when the person thinks about walking, for example. You could look at this as if the connection between the BMI and the electrodes is a ‘wireless external nerve’ that allows movement when the inner nerves do not. In contrast to this ‘wireless external nerve’ approach to help people move again after paralysis, a big part of research is aimed at fixing the inner path. Of course, this strongly differs per condition. However, to take spinal cord injuries as the example, several therapies in studies are aimed at allowing patients to eventually move again without being connected to any device. Epidural/spinal cord stimulation is one of these approaches. Several studies have shown promising results when this technique is combined with functional training, click the above link to read more about it. BMIs can be used for more than just motor/movement functions. Brain machine interfaces can also be aimed at providing assistance or improvement for cognitive or sensory functions. For example by measuring the mental state in order to offer relief in case of sleep problems or pain. Electrodes can also be put in the brain to see where a problem arises, for example in case of epilepsy. Brain machine interfaces are also used in studies to treat blindness and hearing. You can find an article about the use of brain machines interfaces for blindness here. The brain machine interfaces have thusfar been used for giving a form of sight to people who have acquired their blindness during their life. The measured brain signals can be used for many other things as well. For example for moving a cursor on a screen or a helicopter or spaceship in a computer game. A BMI can also use the brain signals for motor imagery: imagination of moving various body parts, which can then be used to visualise in virtual reality for training. Furtherly, a brain machine interface can be used for controlling a device, for example a wheelchair. Last but not least, the possibility exists to use a BMI in order to communicate with others. Like telepathy. This may prove useful for, for example, comatious or vegetative patients who might be able to express their wishes then. If you’re curious about some further examples of BMI/BCI inventions, you can check out the BCI (Brain computer interface) awards. The brain signals can be measured in different ways in a brain machine interface. The signals can either be measured invasively (in the brain), semi-invasively (partly in the brain), or non-invasively (on the head, like a helmet). The brain machine interface is implanted in the grey matter of the brain. This provides the highest quality of measured brain signals. However, as the device is implanted in the brain, surgery is needed. This brings its risks and costs. 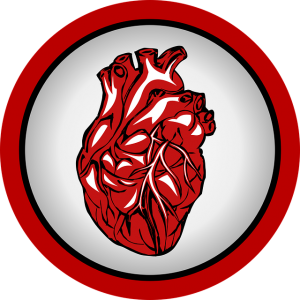 The scar tissue that comes with the implantation could also diminish the signal conduction. This BMI approach concerns electrodes on the surface of the skull. This approach is used most in studies. A brain signal helmet can easily be used and no surgery is needed for it. However, the measured signals are of low quality as the skull weakens the signals. Furtherly, this approach often asks for more time and effort prior to every use. The measured brain signals are usually EEG or ECoG-signals. Non-invasive Brain Machine Interfaces can also work by measuring fMRI (function magnetic resonance imaging) or MEG (Magnetoencepahlography). Brain signals, however, are not the only signals that can be measured. It is also possible to use muscle signals for generating movements with the same or other muscles. Check out my page about muscle (EMG) signals to find out more about this! In this approach, the brain machine interface is implanted in the skull, but located outside of the brain. Not inside of the grey matter. This brings a lower risk of forming scar tissue compared to invasive BMIs. Also, the signal is better compared to non-invasive brain machine interfaces. This is because the signals do not have to go through bone tissue of the skull. Furtherly, less training is needed in this approach compared to the non-invasive approach. Brain machine interfaces will definitely keep on improving. Research to this technology is being performed on a daily basis, promising continuously improving therapies. This website is aimed at sharing this scientific evidence with you. In this way, I try to use the gigantic mountain of scientific knowledge to facilitate the improvement in therapies. Feel free to check out more information on the website, for example about how to apply electrical stimulation and when not to use electrical stimulation. If you’re reading this, you may also be interested in reading about what a TENS (transcutaneous electrical nerve stimulation) unit is. EMG (Electromyography) is a technique for measuring signals produced by skeletal muscles and nerves. EMG signals arise when a muscle takes action. These electrical muscle signals can be measured in a so-called EMG test, often by means of sticky electrodes on the skin or an electrode-needle. These electrodes are connected to an EMG machine through conductive wires. 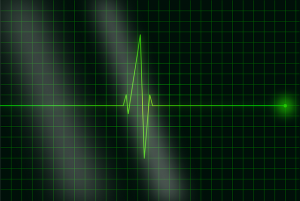 A pattern is created when the EMG-signals are received by the EMG machine. The actual EMG pattern is much more comprehensive. This is not your problem. Machines and experts know what to do with it. This pattern shows the muscle activity at the time of measurement. Knowledge about this muscle activity can be used for many things. For example in order to see whether a muscle functions properly. Or to see which muscle is causing a movement and which one is not. When you have symptoms of muscle weakness, for example, chances are that the doctor will perform such an EMG test on you. Measuring electromyography is also used for identification of neuromuscular diseases. You don’t really have to do much for this. It’s good to ask your doctor what you should do in your specific situation. The following applies to everyone. During an EMG test, the body should be free of fatty creams as these suppress conductivity. Great ways for making sure this happens are not applying these creams or washing them off if they have been applied already. Sometimes, it is needed to warm up the arms or legs before an EMG test. As shown in the video, this can be done with a warm bath. Removing hair is often not necessary. The EMG test usually takes about 30 to 90 minutes, depending on the goal. Once the EMG-test has been performed, you will usually not directly receive the EMG-results. These are examined first. This video gives an impression about and EMG test. I know nothing about this organisation, except that this video gives a clear image about an EMG test. What happens in an EMG test? EMG can be used for a conductive test. In this, an electric signal is sent by means of an electrical stimulator. The provided shocks are of low intensity, so no worries here. The EMG test can either be performed from the skin or from within the muscle. It is necessary to use at least 2 electrodes. This is because EMG signals show the voltage difference between two points. This approach makes it very easy to perform an EMG-test. Non-invasively and cheap. On the downside, this approach can only measure superficial muscles well and the amount of fat between the skin and the muscle influences the recorded signal. Furtherly, it can be hard to determine what muscle is causing the EMG-signal in some cases. Testing from within the muscle can be performed more specific. This can be done by putting two needles into a muscle, or with one needle and a comparison electrode on the skin. This is somewhat less comfortable though, so electrodes on the skin are used when this is not necessary. Still, the level of pain is very low, so don’t let this in any way scare you. Also keep in mind that these tests serve a greater goal for you. What is done with the EMG results? A raw EMG-signal comes forth from this. A couple of tricks are performed on this signal, and then it can be read by a specialist. Or even by a not-so-specialist, as some machines can just tell you what the measured signal means. This signal can then be used for determining whether the investigated person suffers from a disorder or not. Certain patterns represent certain disorders. These can either be muscle disorders, nerve disorders, plexus disorders, root disorders, motor neuron diseases, or disorders of the neuromuscular junction. A list of conditions that could cause abnormal results can be found on the Wikipedia page about electromyography. Many other forms of electrography exist. 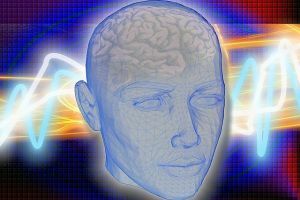 Some well-known examples are electrocardiography (ECG), concerning the activity of the heart, and electroencephalography (EEG) concerning the activity of the brain waves. You can check out the list of electrographic techniques on the Wikipedia page about sorts of electrography. EMG combined with prosthetic devices, a BMI, or FES. Electromyography offers another really interesting possibility. It offers the possibility to be combined with other technologies, such as prosthetic devices, a Brain Machine Interface, Functional Electrical Stimulation or TENS units. This is very useful when it is no longer possible to voluntarily perform movements. In this, the EMG signal of a (partly) functioning muscle can be used to activate a helping device. This helping device can either robotically finish the movement, or stimulate the other needed muscles to generate the complete movement. Especially in this last case, this technique can be used for training to relearn muscle movements. This could be very useful in many conditions. For spinal cord injuries, this can even be combined with epidural stimulation, another very promising technique. As mentioned, a muscle’s activity is measured in an EMG-test. This measured activity consists of MUAPs, short for motor unit action potentials. A motor unit is a combination of a motor neuron and the muscle fibres it innervates. An action potential is an extremely fast change in the electric current of a cell. This extremely fast change in a motor unit’s electric current is what causes muscle movement. Read on to find out what electrical stimulation is, how it is related to the above, and what it can be used for. You can also learn more about how electrical stimulation should be applied and when to avoid electrical stimulation. Transcutaneous Electrical Nerve Stimulation (TENS) units are electrical stimulators. The stimulation is applied to the skin by means of sticky electrodes. Hence the name transcutaneous, meaning ‘existing, applied, or measured across the depth of the skin’. TENS stimulators are used for applying electrical signals through the skin to the underlying nerves. Depending on the intensity of the electrical stimulation, these nerves can possibly conduct the signal to muscles, allowing muscle movement. When people speak of TENS, however, they most often mean its therapeutic effect for fighting pain. Stimulators that are aimed at muscle (re)generation are called Electrical Muscle Stimulators (EMS). In TENS, the applied electricity can block pain signals and cause higher levels of Endorphins. Endorphins are famous and praised body substances for several of their functions, including improving happiness and killing pain. So, what is a TENS unit? Well, I’ve already tried to tell you that. Perhaps this video will be better at explaining what a TENS unit is than I was. After all, a picture’s worth a thousand words. And a video is just a bunch of pictures plus sound. In this video, PNS means the peripheral nervous system and CNS means the central nervous system. The peripheral nervous system concerns all nerves in the body that are not within the spinal cord or brain. The central nervous system concerns the brain and spinal cord. If you would like to know more about the theory behind this way of pain management, have a look at the Wikipedia page about the gate control theory, a theory about pain suppression. Now that you know what a TENS unit is, you might as well want to know whether it works for you. TENS can reduce the pain, but will not remove the cause of your pain. That’s the first note. Secondly, there are many different sorts of pain. A pain specialist can determine whether TENS is an option for you. Thirdly, although TENS-treatment is prescribed all over the world, the evidence for its effects for pain treatment is not that good. This is partly because it is hard to perform ‘placebo-free’ research to this. By this, I mean that it is hard to form different groups that do not know whether they receive the electrical stimulation or not, as you can feel the electrical pulses. There are thus optimists and pessimists about this treatment, as is the case in probably every topic. A certain percentage of pain specialists prescribe TENS. Depending on your location and insurance, the TENS-device can then also (partly) be reimbursed. This specialist can also explain you how often and with what settings you should apply TENS. TENS is known to be safe. However, there are some contraindications for the use of electrical stimulation. You can find the list of contraindications for using electrical stimulation (including TENS) here. If you are not sure whether you are able to safely apply electrical stimulation, be sure to contact an expert. Three factors determine the intensity of TENS, as is the case in all forms of electrical stimulation. These factors are Amplitude, Frequency, and Pulse width. These three factors for electrical stimulation are described more specifically here. Many TENS devices have pre-programmed programs, for example for ‘massage’, ‘muscle regeneration’, or ‘pain relief’. In these programs it is often not possible to change a lot of settings, but it is possible to adjust the total intensity. TENS is usually delivered with a high frequency (more than 50 bursts per second) at a low intensity for pain treatment. This way, the stimulation is not strong enough to produce muscle movements, but just causes the nerves to receive the feeling of the pulses. Sometimes, pain-treatment TENS can also be applied at an intensity at which muscles will move, but at a low frequency. This will not bring you functional movements, but just short repetitive muscle twitches. Make sure to check out the further possibilities of electrical stimulation if you’re interested. Many more possibilities with electrical stimulation exist. As you may imagine, the training possibilities with all these different muscle movements are endless. Electrical stimulation can offer beneficial effects after a spinal cord injury, stroke, cerebral palsy, and many more diseases. Electrical stimulation can be combined with electromyography or with the brain to form a brain-machine interface. Both these techniques can be useful for training functional movements when paralysed. In the specific case of spinal cord injury, there’s this promising technique called spinal cord stimulation, which can also be applied for the purpose of regaining function. I hope you know what TENS is by now. This is not the only treatment for pain, of course. When it is possible, taking care of the underlying cause is more effective. When this is not possible, TENS could offer a way for you to relieve you from (a part of) your pain. Keep in mind that TENS is only one of the many ways for pain relief. Pain signals can be interrupted by electrical signals, but also by endorphins and distractions, for example. Be sure to check out all means for pain relief and to consult experts about this (if pain is a serious problem for you). Epidural stimulation is a form of spinal cord stimulation. This article will focus on its use in the treatment of spinal cord injury (SCI). During the past years, the effects of spinal cord stimulation (SCS) on restoration of function in SCI have been studied more and more. The results of these studies seem promising. Epidural stimulation has been around for a while, but mainly for pain relief. If you’re interested in this, another method that uses electrical stimulation for fighting pain is through TENS treatment. The finding that epidural stimulation offers beneficial effects for motor recovery in SCI patients is much more recent. It has been shown that epidural stimulation can allow people with an incomplete SCI to stand up and ‘walk’ again. Walk is between brackets here, because studies only show limited walking at a slow tempo with walking aids. However, enabling people with a spinal cord injury to walk again is certainly an amazing accomplishment. Examples of this are studies by the University of Louisville and the Mayo clinic in Minnesota and UCLA that are now in the news as they were released yesterday. The above video may give an incorrect image of epidural stimulation that is too good as it is commercial. However, it does give a proper and well-animated impression of what epidural stimulation is. And for as far as I know, they’re not lying. I have no further connections with this party. In the studies mentioned above, patients did not just get the stimulation without having to do anything. Patients went through months of training in combination with the epidural stimulation. Further research is being performed all over the world to see if it is possible to eventually implement this technique in rehabilitation practice. Many things still need to be found out, such as the perfect stimulation pattern for maximal recovery. How do spinal cord stimulation and epidural stimulation work? The SCS-device locally activates nerve circuits in the spinal cord by ‘imitating’ signals from the brain. Treatment with SCS works by means of neuroplasticity. Neuroplasticity means that the ‘patterns’ in the spine and brain are getting changed. 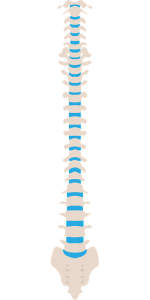 In this case, changing these patterns means reconnecting the wires that run through the spinal cord. As a consequence, it can again become possible to let signals from the brain and spine reach muscles that couldn’t be reached before. Even when the stimulator is off. This, in turn, can enable SCI patients to perform movements that were not possible before. This stimulation can be provided non-invasively, by means of sticky electrodes on the skin, as well as invasively, in which the stimulator is implanted in the body through surgery. These are respectively called transcutaneous spinal cord stimulation and epidural spinal cord stimulation. A certain space on your spinal cord is called the epidural space. An implanted stimulator enters this space. A benefit of an implanted epidural stimulator is that treatment can easily be started again and again once the stimulator is implanted. Another benefit of an implanted stimulator is that it is possible to stimulate very precise and deeper areas. The main benefits of transcutaneous SCS are that there are no surgery risks and costs. It has been shown that transcutaneous stimulation can offer equal neuromodular effects compared to implanted epidural stimulation1. If you are furtherly interested in clear and understandable information about research to the treatment of spinal cord injuries, I recommend you to read the e-book Don’t call it a miracle written by Kate Willette. You can download it on this website for free. Reading it has really improved my understanding about spinal cord injuries and possibilities for fighting them. Epidural stimulation is not the only method that is being studied for treating spinal cord injuries. Other examples include physiological trainings based on reflexes, stem cell research, trainings that make use of muscle (EMG) signals, and trainings in which Brain Machine Interfaces are used. Feel free to look around if you would like to know more about electrical stimulation. Electrical stimulation is not only applied to the spinal cord. You can read about what electrical stimulation is and what it offers here. Furtherly, you can read more about how to apply (neuromuscular) electrical stimulation here. Under some circumstances, however, it is not very wise to apply electrical stimulation. You can read about these so-called contra-indications for electrical stimulation here. I do not ask for any fees for the links I’ve mentioned. If you feel like you know a research (party) concerning epidural or spinal cord stimulation that should be included, let me know. Further questions, discussion points, and remarks are welcome as well. You can leave a comment or send an email to admin@electrical-stimulation.com. The precise manner for applying Neuromuscular Electrical Stimulation (NMES) differs per stimulator. However, every stimulation works with the following principles: frequency, amplitude, and pulse width. If you’re first wondering what electrical stimulation actually is and why it’s great, hit the link. Furtherly, if you’re thinking of applying electrical stimulation, always follow the instructions in the manual that belongs to your stimulator. Also be sure to check out the contraindications for applying electrical stimulation before doing anything. The frequency is the number of pulses applied per minute. When the frequency is increased, the intensity of the muscle tension and the produced EMG-signal also increase. The applicable frequency range differs per stimulator. In some, only a standard unchangeable frequency is possible, other stimulators offer the possibility to set the frequency within a certain range. For example between 0 and 70 Hz (Hz=Hertz; number of pulses per second). The frequency that is used for smooth muscles tensions is usually about 20 to 50 Hz. A frequency that is too low makes a movement jerky and a frequency that’s too high makes the stimulation painful. Pulse width stands for the time to which every group of stimulation pulses is set. This is usually set in microseconds (µs), but sometimes in milliseconds (ms). In most stimulators, the pulse width is about 200-300 µs. A short pulse width may feel better, but a longer pulse width has the advantage that more motoneurons will be innervated, leading to an increased muscle tension. In neuromuscular electrical stimulation, the Amplitude represents the electric current of the stimulation. This is measured in Milli Ampere (mA). The amplitude determines how deep the stimulation will go and therefore how many motoneurons are stimulated, and thus how strong the muscle tension will become. The frequency, pulse width, and amplitude form the intensity/powerfulness of the stimulation together. It is thus possible to make some adjustments in these settings, while still maintaining an intensity that is roughly similar. For example by increasing the pulse width while decreasing the amplitude. You can make tehse adjustments to make sure that the approximate same effect is reached, while the person undergoing it feels better. What settings should be used for neuromuscular electrical stimulation? You can most probably also find the applicable settings in the user manual of your stimulator. The to-be-used settings depend on your goal with neuromuscular electrical stimulation. The following applies to generating a muscle contraction that leads to movement. From personal experience, it is usually best to first set the frequency (between 20 and 50 Hz) and the pulse width (200 to 300 µs) and consequently increase the amplitude. The needed amplitude for good stimulation may strongly differ per person. Start low and slowly increase this: for small muscles, start at e.g. 5mA and keep on increasing this with a couple mA every time. For bigger muscles, e.g. the leg muscles that make the knees extend, you can start higher, for example at 10 mA. Only increase the intensity as long as it feels good and don’t go too far. If a strong contraction is reached, it is often not needed to increase the intensity much more. Also, When you apply electrical stimulation, always make sure that the joint(s) that take(s) part in the movement cannot overstretch. For example by fixing them or by restricting the movement range. Furthermore, make sure the one who applies ES is alert and able to turn off the stimulation at any moment. What settings should be used for to fight pain? Different settings should be used when you want to fight pain. In order to fight pain, electrical stimulation can either be applied on the spinal cord or the muscles. When applied to the spinal cord, it’s usually called epidural stimulation. When electrical stimulation is applied to the muscles or nerves to fight pain, it is called Transcutaneous Electrical Nerve Stimulation (TENS). Clicking the links can offer you more information about this. In some cases, it may be more useful to apply a different frequency, pulse width, or amplitude. A lower frequency of 1 to 10 Hz, for example, might work better when a muscle gets exhausted too fast. This is mainly useful when it is not the goal to make fluent movements, but to just train the muscle. After training with low frequencies, a muscle may become more fatigue-resistant, allowing you to apply higher frequencies and perform more functional movements. With a lower pulse width, between 50 µs and 200 µs, the stimulation will not go very deep and the stimulation might feel more comfortable. This could be useful when small muscles nearby the skin need to be stimulated. On the other hand, a higher pulse width (350-500 µs) could be useful in bigger muscles. Changing the pulse width causes the intensity of the movement to change. This difference can be compensated to some extent by altering the amplitude. The following applies to electrical stimulation on the skin, also referred to as Transcutaneous Electrical Neuro Stimulation (TENS). ES can also be applied internally, information about this will be added later. The electrodes you need depend on the size of the muscle you are going to stimulate. When you want to stimulate a muscle that is small, e.g. one of the arm/hand muscles, you will also need small electrodes in order to not also stimulate the nearby muscles. For bigger muscles on the other hand, it is very useful to use bigger electrodes. On the one hand, a big part of the muscle can be stimulated, involving as much muscle fibres as possible in the stimulation. Furthermore, the applied electricity can be spread better in a bigger electrode. This leads to a more comfortable feeling when bigger electrodes are used compared to small electrodes, while the intensity is the same. This is because the electricity is spread over the surface. That’s also why a stimulation can become more painful when an electrode partly comes off. The same amount of electricity has to go through the electrodes, and increased electricity thus goes through every stimulated piece of skin. How can electrodes best be attached, used, and maintained? In TENS, you can use self-adhesive or rubber electrodes. Non-adhesive electrodes can be attached to the skin by making use of a tight flexible belt or tape and possibly lubricating the electrodes with contact gel. For hygienic reasons, electrodes are usually used for one patient. Self-adhesive electrodes may lose their adhesive power pretty quickly. For all electrodes, it is important you wash these with water and place them back on the foil they belong to. In TENS, the precise position of the electrodes is of great importance, especially in the smaller muscles. When the muscle belly is not or not entirely stimulated, a greater intensity is needed in order to reach the same effect, if this effect can even still be reached. Therefore, you should always make sure that the electrodes are placed correctly by trying to stimulate as much of the muscle belly as possible without stimulating on the tendon. You can often find suggestions for electrode placement in the instruction manuals of stimulators. I am also planning to add information about electrode placement per mucle to the website at a later point. The precise perfect stimulation location may differ per person, as muscles and nerves can run a bit differently through the body among people, but also because of damaged nerve paths or other conditions related to diseases. You should keep in mind that suggestions for electrode placement, for example in the manual of your stimulator, are often based on the anatomic position, unless specified differently. The anatomic position is the position in which the person is standing upright in neutral position, with the palms of the hand to the front. This is one important thing to keep in mind for the attachment process. Another thing is to make sure that the conduction between the electrode and the skin is good. You should make sure that there are no substances on the skin. Excessive hair may counteract ES, but in many cases it is not necessary to remove hair. When you use ES a lot, however, it is often worth shaving. It may occur that electrical stimulation has no effect on some muscles. This could be due to the decay of nerves. When this is the case, it is often still possible to innervate these muscles, but only by directly applying ES to the muscle or by using triangular pulses. More information about this will be added later. Neuromuscular electrical stimulation can also be triggered by brain signals. In this case, it is called a Brain machine interface. Hit the link to read more about this exciting technology. If you have any questions, remarks, tips, or other words about neuromuscular electrical stimulation left, feel free to leave a comment! Electrical stimulation comes in many forms. Electrical Muscle Stimulation (EMS), Neuromuscular Electrical Stimulation (NMES), Transcutaneous Elecrical Nerve Stimulation (TENS), Electromyostimulation, and Functional Electrical Stimulation (FES) are the most common forms. There are slight differences, but the main concept is the same. In short, electrical stimulation works like this. As a start, an electrical stimulator sends an electric signal through its wires to its electrodes. The electrodes can either be placed within the body, implanted through surgery, or onto the skin through sticky or rubber electrodes, as in the picture. Once the electric signal reaches the electrode, the signal stimulates the nearest nerves. From here, the signal acts as a so-called action potential: a signal that usually starts in the brain and is sent to the muscles through the nerves. This action potential causes the muscle(s) that are attached to this nerve to contract, which makes the body move. This way, the electrical stimulator serves as an external ‘brain’ that can initiate movement. This mainly becomes useful when something’s wrong between your own brain and your own muscles. Electrical stimulation is a proven tool for helping people with motor disabilities, for example for people who have had a stroke, spinal cord injury, MS, Parkinson, . Electrical stimulation has been around for a long time. I can’t exactly tell you when this was. But the story does go that people would use electric fish to fight pain and make muscles move back in the days. The frequent use of ES for beneficial effects after injuries or diseases, however, came around much later. A lot of research has been carried out in the meantime, especially during the last 60 years. 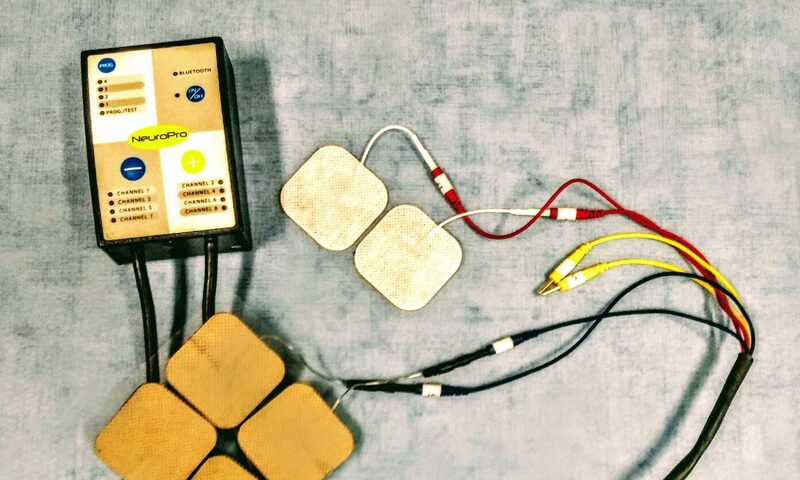 Thanks to the results of this research, electrical stimulation has become accepted in rehabilitative therapies more and more and it is now being used for rehabilitation in many countries. However, much more is possible with electrical stimulation. This is shown by the results of many studies. For example, studies have been performed in which paralysed people were able to walk again voluntarily with the assistance of electrical stimulation and a machine that recorded the signals of the brain and sent these to the electrodes on their legs. You can look at this as if it is a ‘wireless external nerve’. This technique is called a Brain Machine Interface, click the link to read more about it. Another tactic for improving the functional capabilities of people is to make use of the EMG-signals produced by their muscles. Research to the improvement of these functional properties, as well as to other health-related properties, is executed every day. This promises improved therapies for improving health in the future. If you would directly like to know how to apply electrical stimulation, hit the link. Also always carefully read the manual that comes with your stimulator before applying ES. Furtherly, make sure to check out when not to use electrical stimulation before doing anything with it. In short, electrical stimulation under the supervision of experts appears to be a safe medical method without known negative side effects. It can be used to remedy many consequences of motor impairments and increase the quality of life. As you’ve just read, the electric signals can be used for many things. One of the things for which this electricity can be used is to fight pain. For fighting pain, the electricity can be applied to the spinal cord (epidural stimulation). However, the stimulation can also be applied to the nerves or muscles to fight pain. In this case, it is often called Transcutaneous Electrical Nerve Stimulation (TENS). The links can offer you more information about these therapies. FES means that the electrical stimulation is being used in order to execute functional movements. This way, it is possible to enhance functional recovery: The recovery of voluntarily making movements. When an electrical signal is sent to a nerve, it does not only go towards the muscle. The signal proceeds into two directions: towards the muscles and, through sensory nerves back towards the central nervous system, including the brains. Thanks to this, it is possible to ‘synchronize’ the moment of the muscle movement with the moment at which the sensory signal reaches the brain. This can be very useful for people who do not, or insufficiently, have the ability to voluntarily initiate movements. When this is used as a training, it may strengthen the path from muscle to brain, so that people can re-learn the ability to initiate movements and activate their muscles again. Of course, the functional effects differ per injury, as the problem may sometimes concern the nerve paths, and sometimes the brain or the spinal cord. This is another way for working towards recovery of that tract between muscles and brains. Multiple electrical stimulators exist that can measure so-called EMG-signals. EMG is short for Electromyography. This is a signal that comes up when muscles are activated. After having a stroke or spinal cord injury, for example, certain muscles can only limitedly be activated. Let alone the muscles that cannot be activated at all, of course. The EMG-signals of these half-functioning muscles can be measured. Because of this, electrical stimulation can become activated at the moment someone tries to make a movement. In this way, the electrical stimulation is synchronised with the activation from the brain. This could offer training possibilities to re-enable movement that were previously impossible. The next video offers a (slightly romantic) image of this. The above video is commercial, but does offer a proper image of the utility of EMG-triggered electrical stimulation. Electrical stimulation is not just applied to muscles. Another treatment for making the muscles of people with spinal cord injuries move again is epidural stimulation. Epidural stimulation is a form of stimulation of the spinal cord. You can read more about it by clicking the link. The information concerning electrical stimulation mentioned on this website will be furtherly elaborated soon!